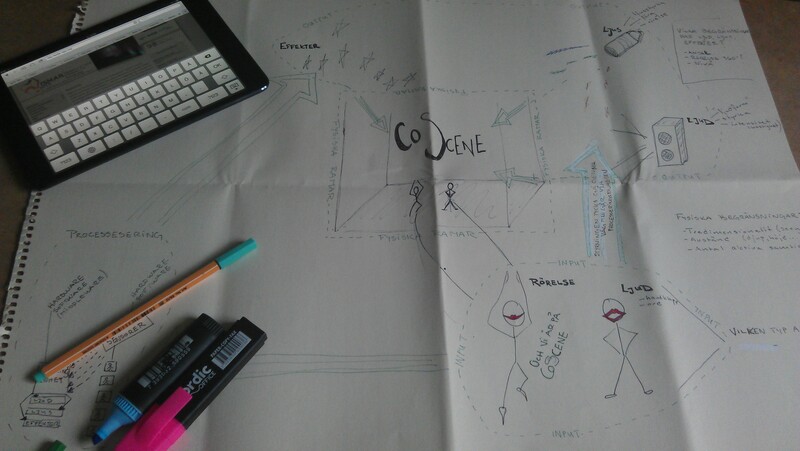 During the past weeks CoScene has slowly started to grow. Flow-charts and research best conclude the activities. Since we had a break-in during February where everything of value was stolen including back-up of the past ten years of work we have been working in a very non-digital way while the insurance-company has been working on the refund (which finally came last week). Being forced to create non-digital is a challenge and a relief at the same time. And a lots of fun cause you are allowed to draw silly little figures instead of perfect presentations in Power Point. We are still looking for input and co-operation, so don’t hesitate to contact us.